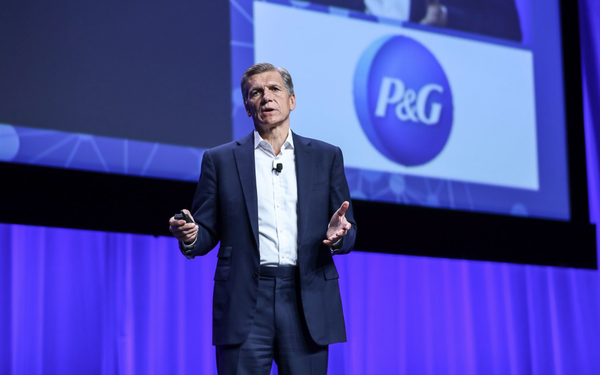 ORLANDO, Fla. — Procter & Gamble Chief Marketing Officer Marc Pritchard says brand building can be a force for good along with growth. Pritchard showed attendees at the Association of National Advertisers Masters of Marketing conference examples of P&G’s ongoing “Like a Girl” campaign, as well as a new spot, “The Talk,” which is part of its “My Black is Beautiful” campaign and takes on the difficult discussions parents are having with their children about racism. Brand safety is an issue that all marketers are facing in all mediums, said Pritchard, who is chairman of the ANA board of directors. “We have zero tolerance with our ads being associated with bias, bigotry or hate,” he says. JP Morgan Chase CMO Kristin Lemkau concurred that brand safety is one of the biggest issues facing marketers at the moment. She showed an example of how one of her company’s ads inadvertently was run on a website called “Hillary 4 Prison.” The company is now limiting its display ads to about 10,000 websites (up from about 5,000 it started with earlier this year) it has pre-approved, compared to 400,000 websites previously, she says. While obviously brands don’t want to be associated with terrorist-recruiting videos, it’s also debatable how many cat videos a brand wants to have its advertising run up against, Pritchard says. P&G is working with platforms like YouTube and Snapchat to find the optimum venues to display their ads, he said. Despite concern about ever-shortening attention spans thanks to Snapchat and other social media, TV is not dead. “A brand can instantly connect with hundreds of thousands of hearts and minds to drive growth,” he says. The theme for this conference is “Growth — Mastering Brands and Driving Results,” said Bob Liodice, ANA chief executive officer. “While the Masters theme has remained constant over time, the marketing success stories have evolved and changed,” he says. With a growing wellspring of creativity, marketers are stretching their brands in unique and imaginative ways to transform relationships with consumers and customers, he adds. Although there has been substantial technological progress, it is debatable whether it is getting the industry anywhere. In 2016, more than half of the Fortune 500 companies had declining revenues. “These depressing patterns are happening even with continued growth in media spending,” he says. The underperforming boils down to a lack of effective marketer leadership. To regain leadership and address the issues facing the industry, Liodice urged the CMO community to join forces via a year-old ANA initiative called the Masters Circle, which was established to unite individual CMO agendas and create a powerful force to transform and lead the industry. About 400 CMOs participate in some level of Masters Circle activity, which has included the introduction of a multicultural program called AIMM (Alliance for Inclusive & Multicultural Marketing) and the publication of a new CMO playbook filled with case studies from leading national advertisers.